Chippewa Lake is an idyllic waterfront community in north-central Michigan, popular with retirees and weekenders. The lake is surrounded by a rural farming community, but the area is facing a difficult transition as local demographics shift, and as it transforms from an agriculture-based economy to one that relies on wage labor. As farms have disappeared, local residents have employed a variety of strategies to adapt to a new economic structure. The community, meanwhile, has been indelibly affected by the advent of newcomers and retirees challenging the rural cultural values. An anthropologist with a background in sociology, Cindy L. Hull deftly weaves together oral accounts, historic documents, and participant surveys compiled from her nearly thirty years of living in the area to create a textured portrait of a community in flux. Cindy L. Hull is Professor in the Anthropology Department at Grand Valley State University. 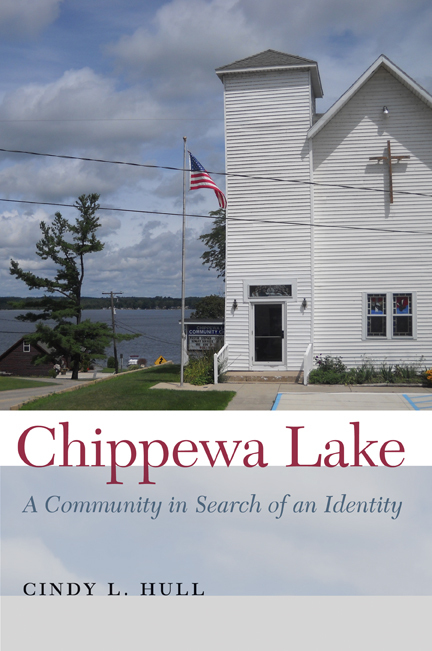 "Chippewa Lake offers an intimate and complex portrait of the transformation of a contemporary Michigan small town. Hull outlines the town’s fascinating history of Native American and immigrant settlement as well as economic change. As a long-term resident of the town, the author uses her observations over several decades to highlight small town residents’ resilience in response to economic change, as well as growing tensions resulting from the influx of retirees and vacationers, who hold visions of rural life that contrast with those of long-term residents. The book will be an excellent addition to undergraduate courses in Rural Sociology, Sociology of Community, Cultural Anthropology, and Michigan History." "Anthropologist Cindy Hull has been truly a participant observer for thirty years in her husband’s rural family community. She describes the ongoing shift from subsistence farming, to dairy farming, to wage labor as means of keeping family farms. Simultaneously, highways brought commuters and retirees to the county’s lakeside. Seeking peaceful living, they conflict with the old farm families. Chippewa Lake is a thoughtful description of what’s been happening all over America." "Hull’s work takes up increasingly important questions of just how rural places change as they are put to new uses by populations including exurban commuters and second home residents. Drawing upon a privileged position as both resident and researcher, she looks beyond lamentations for a lost past and reveals the surprising ways that community ideals persist in a shifting landscape." "[This] insightful research brings a valuable comprehensive understanding to Social Science scholars and local citizens of the complex tension-filled challenges faced in the on-going transitions from an old rural farm/lake area to a struggling modern-day isolated commuter/retirement community."